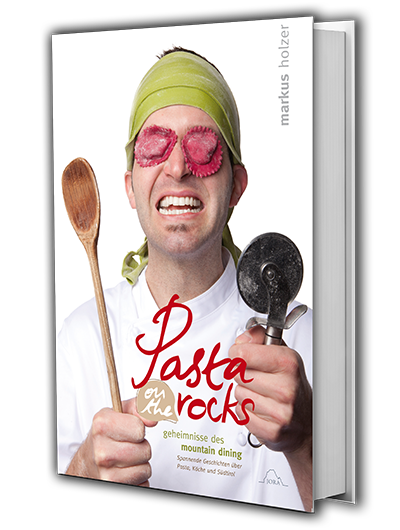 75 home-cooking pasta recipes and exciting stories about pasta, chefs and South Tyrol. 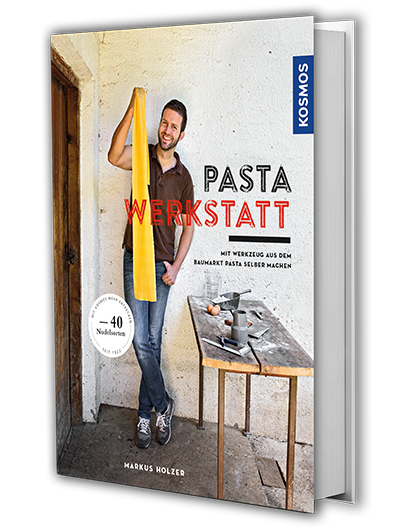 With his own direct way of writing, Markus Holzer, the young, dyed-in-the-wool South Tyrolean chef, introduces his readers to his world of pasta and spaghetti. In a humorous and entertaining way, he lifts the lid on a wide range of secrets. How you can ensure that your sauce adheres to your spaghetti, for example, rather than to the plate. Or why shocking spaghetti with cold water is a sin. You will find many valuable tips, passed on to you from Markus in his Mountain Dining kitchen in San Candido. All of this can be found in Markus’ book, alongside exciting stories from his time in Germany, Italy and, of course, South Tyrol. Not that everything was always smooth sailing for Markus. He examines both his compatriots and his South Tyrolean homeland, as well as offering unique insight into the life of a chef. Available in the following languages: German, Italian. Who would have thought that a scraper and a screwdriver could be the most important tools for creating orecchiette pasta? Or that a hammer can be used to give gnocchi the perfect shape? The South Tyrolean pasta-pioneer Markus Holzer knows exactly how to turn pasta dough into 40 different pasta varieties using accessories from the DIY store. He shows exactly how to do this in ten detailed “assembly instructions”: from charcoal tagliolini to herb fazzoletti and even his sweet pasta creations. The finishing touch is provided by the sauce, which the pasta chef has created especially for every pasta type, ensuring that the sauce always adheres to the pasta. Cooking and music know no borders. These are two “languages” that everyone understands and that bring people together all over the world. “Culinarium Tyrolensis - Die Küche der Dolomiten / La cucina delle Dolomiti“ (The Cuisine of the Dolomites) is an exceptional book, introducing diverse dishes alongside exquisite wines and their producers, while those with an interest can learn about the cultural-historical background of the cuisine of the Dolomites. An awareness of tradition and a love for the region inspired this book. The same philosophy led to the founding of the “Culinaria Tirolensis” association, whose initiators are the top chefs Chris Oberhammer, Markus Holzer and Josef Mühlmann as well as the wine sommelier and expert, André Cis. 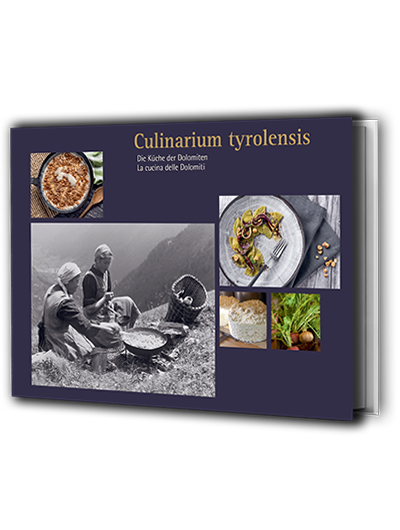 “Culinaria Tirolensis” strives to promote regional cuisine and to demonstrate that East Tyrol and the Val Pusteria have their own cultural landscape, which extends beyond national borders. Embark upon a culinary journey through the past, present and future – through the East Tyrolean and South Tyrolean Val Pusteria, along the Dolomites. Available in German and Italian (bilingual).